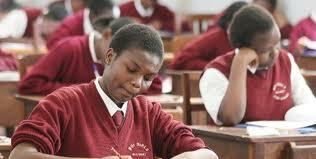 To check your results online go to KNEC Website: www.knec.ac.ke and enter your index number. To check your results via SMS, send an SMS with your Index Number to 22252 for Safaricom, Airtel and Orange networks. Candidates should visit their examination centers for their official results slip. At the same time parents and pupils should check the results for any anomaly such as incorrect candidate’s name, school name and code as well as wrong subject grade and report to KNEC within a month after the announcement.